Product prices and availability are accurate as of 2019-04-17 15:17:34 EDT and are subject to change. Any price and availability information displayed on http://www.amazon.com/ at the time of purchase will apply to the purchase of this product. 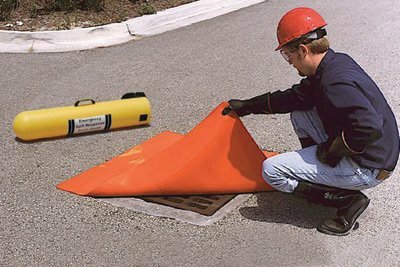 Ultra-DrainSeals® Stop Spills From Going Down the Drain - Unique, urethane construction allows the pad to deform and seal off most drains - temporarily "seals" to any smooth surface.